If you have a big project you need to get done, chances are you are sipping a beverage to get it done. 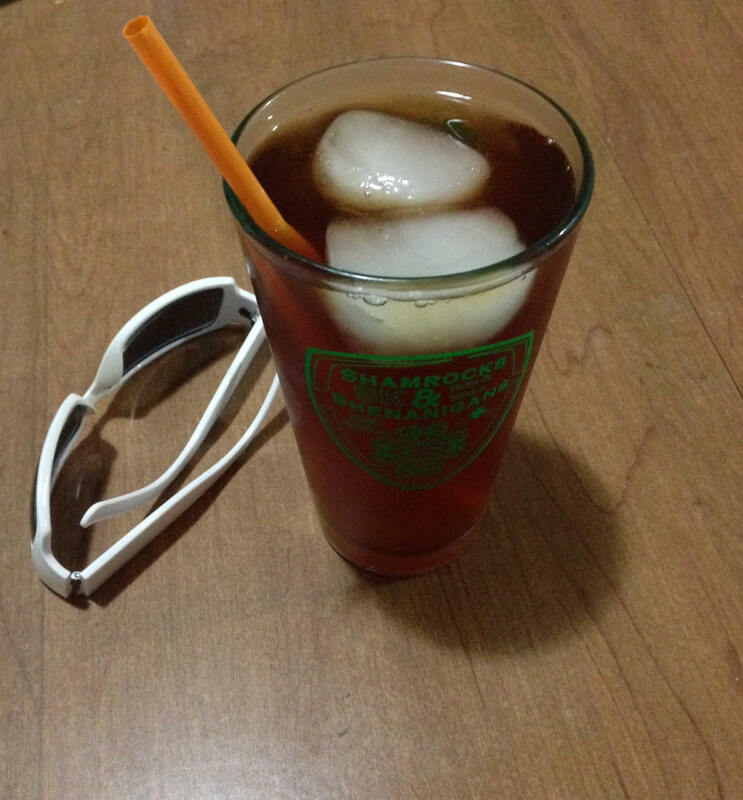 My cup of choice is iced tea, especially in summer. Whether at the office, at a café or in your living room, we tend to choose to drink coffee or tea for that productivity pick-me-up when we need it most—or for daily inspiration to get going at work. There’s a reason why we turn to caffeine. As I explained in an earlier blog post, caffeine helps you feel more clearheaded, more agile and more alert. Because these are ingredients to a successful workday, we fill up on cups of cappuccinos or tea. But is ☕️ (coffee) or 🍵 (tea) better for productivity? Unfortunately, more caffeine doesn’t mean more productivity. In fact, it can lead to the opposite. Think of a roller coaster. If your car goes up a big hill, 99% of the time that car is going to whizz back down it. Same goes with your caffeine crash. When that caffeine is rushing through your veins, you are confident to take on the world. But once it clears from your system, you want to crawl underneath the covers and binge-watch your flavor-of-the-week TV show. The more caffeine you intake means the higher the high and the harder the crash. And because coffee offers more caffeine, the more likely the crash will have you figuratively skidding to a halt. Does That Mean Tea Makes You More Productive? There are definite perks to drinking tea, particularly green tea, over coffee. Tea lets us have our caffeine without the coffee jitters, supports brain function for focus and reduces stress levels. It also doesn’t send us running for the restroom. So, does tea trump coffee when it comes to productivity? Yes, no and not quite. Either drink can help boost your creative output. But it’s not because tea is better than coffee or that coffee is better than tea, it’s because we drink what we drink smartly to crank out the results and skip the rut. See, we should instead be asking another question: How should we drink tea or coffee for maximum productivity? You don’t have to give up your favorite cup of caffeine just yet. What you need to focus on is how to extend the positive productivity benefits of caffeine while minimizing the crash, be it with tea or coffee. The faster you drink your tea, the faster the caffeine will start zipping through you. By sipping—not slurping—your beverage, you allow the caffeine to slowly release within your body. This eases you into your crash zone without feeling like you slammed into a wall. Eat the right foods while getting your caffeine fix. Sugary foods (and drinks) will spike your insulin levels, making that crash even more unbearable. Choose slow-burning foods like whole grains, fruits and vegetables so that your energy lasts longer and the crash not so devastating. Always have some food in your stomach before drinking caffeine. When your mug is empty, don’t rush to the coffee pot or tea kettle. You’re probably craving it, but what you’re really craving is the stimulation brought on by the caffeine. Spread your caffeine intake over a longer period of time by drinking water for an hour in between cups so that your productivity lasts all day, not for one hour. Do you drink tea or coffee to be more productive? Share your opinions below.